Educational Visits at Holkham Hall01328 710227work Educational VisitsThe hall, walled garden, parkland, Holkham National Nature Reserve and wildlife provide interest and relevance equally for the national curriculum and for the general appeal and enjoyment of pupils. Our programmes are flexible to suit your requirements and learning objectives and we welcome groups with special educational needs. We deliver engaging, inspirational sessions which are appealing to a variety of learning styles, resulting in bringing Holkham to life. 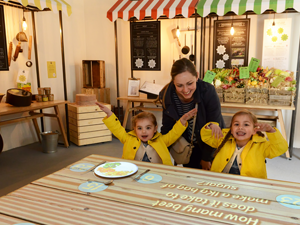 Our interactive Field to Fork Experience focuses on Holkham’s unique farming heritage, highlighting how the land is linked to food production and exploring the themes of nutrition and cookery, which are increasingly relevant to young people. The hall, walled garden, parkland, Holkham National Nature Reserve and wildlife provide interest and relevance equally for the national curriculum and for the general appeal and enjoyment of pupils.